The Basilica Round 5 Light Pendant, part of the Basilica range from Heathfield and Co, creates a statement as a cluster of 5, each with a graduated drop. Expertly crafted by skilled glass blowers, the sophisticated design combines romanticism of the past with a modern edge. The fluted, curved forms are available in three colourways - smoke, opal jade and lustre. 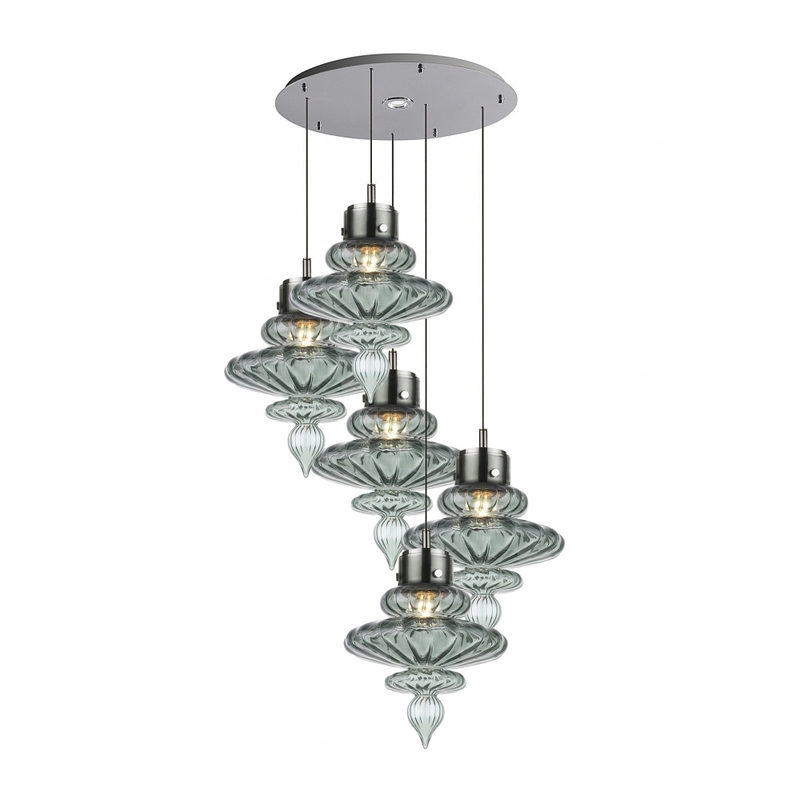 The elegant pendants are complemented by a round, nickel ceiling plate. Get in touch with our team for more information, advice and tips.